Welcome to our guide on licensing and the usage of clips on Videvo.net. Below you will find all the information you need to ensure you are using clips from Videvo correctly, and not breaking any rules in the process. Firstly, it is important to point out that we license clips on Videvo in a number of different ways, and there are some clips on Videvo that you may not be able to use for certain types of project. Furthermore, you may have to credit the author of the clip. In this article we will cover the different types of license, usage, and how to credit the author if it is required. Where can I find license and author information for a clip? It is important to note that on Videvo we differentiate between license and usage. Broadly speaking, the license defines what permissions you have in terms of editing the clip, whether you need to provide a credit, where you can publish the clip so on. Usage dictates whether or not you may use the clip for commercial purposes to promote a product, brand, or service. If the usage states “All projects and media” you may use the clip for commercial purposes. If it states “Editorial Use Only”, you may not use the clip for commercial purposes. We will cover the topic of usage, both commercial and editorial in more detail later in this article. Currently, there are 3 types of license on Videvo.net. Each video clip will be licensed in one of these ways. Music and Sound Effects are licensed as Royalty Free. This license allows for the use of the clip free of charge for perpetuity, but you must provide a credit to the original author of the clip. For more information about how to credit, scroll down this article to the section “How to provide a credit”. Similar to the Royalty Free License, you may not redistribute the clip(s) in their original form on other platforms or services, for example, torrent websites or other stock agencies. This is similar to the Videvo Attribution License, but you are free to distribute the clip elsewhere in its original, unedited form. You must attribute the original author in all productions as well as any distribution channels in which the clip been made available for download. This license also allows for commercial use, although special attention should be paid to ensure that no identifiable persons, brands or private property appear in the clip(s) unless a model/property release has first been obtained. For these clips, please give credit to: U.S. Fish & Wildlife Service, National Conservation Training Center, Creative Imagery. Read more about the public domain here. This is a legacy license that is no longer used for licensing content on Videvo. However, if you downloaded a clip in the past under this license then the same terms of that license still apply. Scenario 1: “All projects and media”. You may use the clip for commercial purposes. Scenario 2: “Editorial Use Only”. You may not use the clip commercially. Why do we make this distinction? Clips are normally marked as Editorial Use Only when they contain identifiable persons, private property that is the main focus of the shot, brands or logos that are the main focus of the shot, or artwork or copyrighted works. Without a release form from the person(s) appearing in the shot or the owner of the property, it is not possible to use the clip for commercial purposes. However, you may use the clip for editorial purposes. What does “Editorial” mean and what projects are classed as Editorial? Editorial content is defined as content that is newsworthy or documentary-worthy, that is providing a commentary on a story outside of a promotional context. For example, all news programming is considered editorial, because it is providing a commentary on real-world events as they happen. Documentaries are considered editorial, providing that the aim of the documentary is not to promote a brand product or service. Even if you are selling your documentary, it is still classed as editorial. Editorial images can also be used for educational purposes, providing the educational content is presented as a learning aid and is factual. Read our full guide on editorial use here. In an example scenario, you have downloaded a clip created by the Author “Videvo” and it is licensed under the “Videvo Attribution License”. You edit this clip into your video, and you upload this video to YouTube to share with your subscribers. 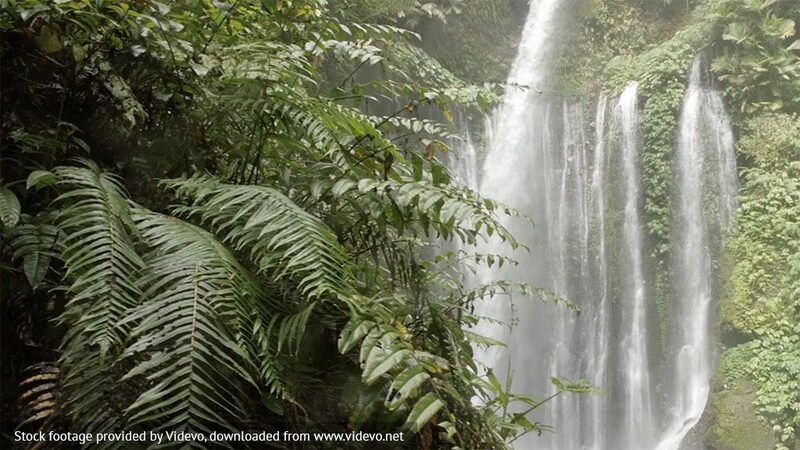 In your video, you may include the text “Stock footage provided by Videvo, downloaded from www.videvo.net” – this on-screen credit can either appear over the video itself (see example below) or in the end credits. This text must be in a suitable font and large enough to be clearly readable, but it does not have to be so large as to distract from the main content. A small text credit in the corner of the frame is sufficient in most instances. This marks the end of our guidelines on licensing and usage for clips on Videvo. If you have any questions regarding licensing, usage or how to credit you can contact us at hello@videvo.net, and we will do our best to help. Last updated: 06th June 2018.